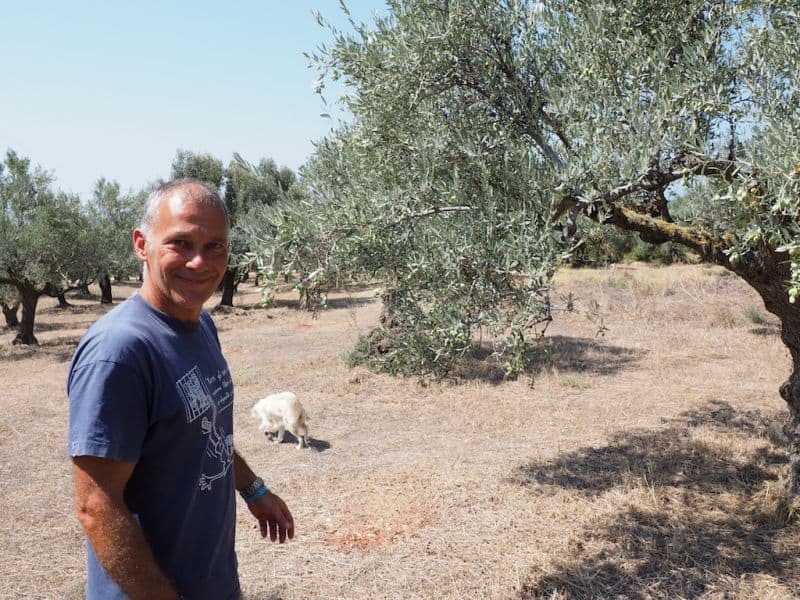 On our recent trip to the Peloponnese we were delighted to be invited by one of our favourite olive oil producers, Giovanni Bianchi, to visit his olive grove and see first hand where his multi award winning Argali extra virgin olive oil comes from. Giovanni’s olive grove is located in Gargaliani, Messinia on the south-west coast of the Peloponnese. It is an area overlooking the sea and covered in an endless carpet of green-silver olive trees. Olive cultivation and olive oil production has a long tradition in this part of Greece, however Giovanni was able to come here in 2004 and perform a small miracle. Giovanni is of Italian origin who was born and spent the early part of his life in Greece, since his parents were stationed here. He remembers fondly their early summer trips with a camper van in Chalkidiki and it seems that since then a love of Greece was instilled in him that does not leave him. After returning to Italy he always had the wish to return to Greece, this time with his own family. So in 2004 he decided to buy a plot of land that went on sale in Gargaliani and use it as a summer home. 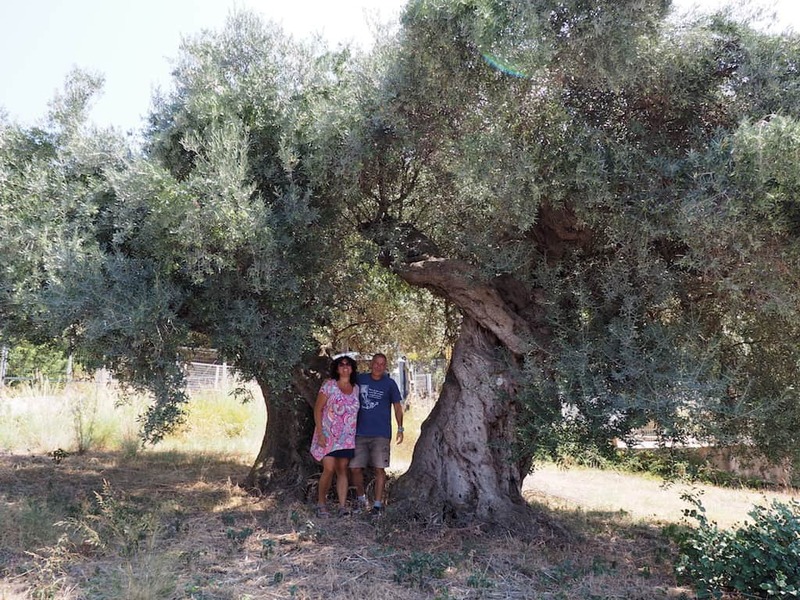 The land came with a few hundred olive trees of the Koroneiki variety that is very popular in this region and Giovanni decided to make use of them and produce some olive oil for him and the family. However he was not just going to follow the local wisdom on how to do it, but decided to get serious and enrolled on a course in Italy that would teach him the scientific techniques of producing good quality extra virgin olive oil. 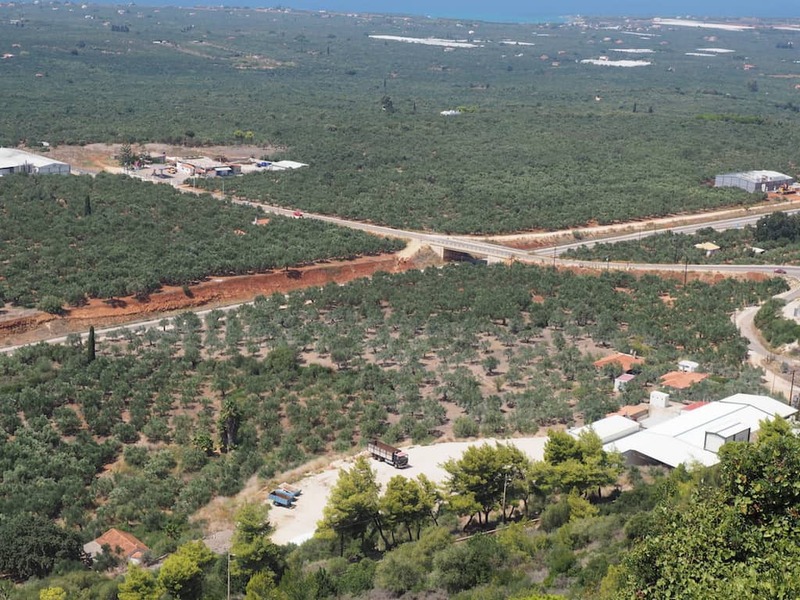 Firstly he decided that he wanted his olive grove to be free from pesticides and other chemicals, so he went for a fully organic cultivation. This in itself is not so easy to do when most of the olive groves surrounding your own are not organic and for example are sprayed against the olive fruit fly. This has the result that the organic olive grove will get a much bigger share of olive fruit flies than necessary. Secondly he went against several procedures during the harvest of the olives that most of the local farmers employed and which seem to have a detrimental effect on the resulting quality of the olive oil. Collecting the olives in large cloth sacks and leaving them outside for many hours before pressing them are some of the things that are done habitually but have now been categorically proven to be wrong. Thirdly he demanded that certain principles are applied at the pressing stage of the olives like for example making sure that all the relevant equipment are throughly washed from any previous pressings and ensuring that the temperature limits during pressing are strictly adhered to. His insistence on applying these principles that went against the common rule-book as well as the fact that he was an ‘outsider’ in a region of olive farmers of many generations must have definitely created a disagreeable atmosphere around him, however this did not stop him. The result was that in 2016 Giovanni Bianchi created an organic olive oil that swept the highest awards in the most prestigious olive oil competitions in the world! His Argali Organic EVOO received the Best in Class award at the 2016 New York international olive oil competition, a gold medal at the BIOL organic olive oil competition and was selected as the best olive oil from the Koroneiki variety in the world at the ATHENA international olive oil competition. That was certainly the greatest recognition of Giovanni’s efforts, his belief in what he was doing and his insistence in swimming against the current. It was at this time that we made the acquaintance with Giovanni and were able to import to the UK a small batch of this world class olive oil for our customers. Since then, we have been in close contact with him and we regularly receive his news about the progress of his work. 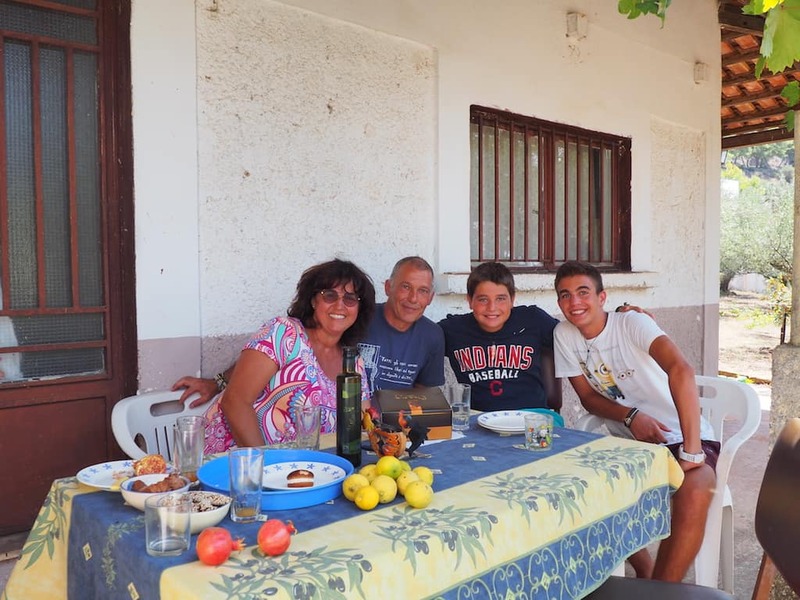 We were therefore really happy to finally be able to visit him and his family in their beautiful olive grove. Giovanni showed us around his olive grove which he is slowly expanding by adding some more land from neighbouring areas. His production is still fairly small, but he is as always focused on quality and his olive oil is now highly anticipated each year from buyers as far away as Japan. He will be starting the harvest early in October this year and we are really looking forward to getting the new olive oil as soon as it is bottled. Thanks for the hospitality Giovanni!